The solution for limitless energy could really close. China is close to launching its ‘artificial sun’ nuclear reactor, providing the nation with limitless, clean energy. The HL-2M Tokamak or the artificial sun, will be completed this year using nuclear fusion in which hydrogen from sea water and readily available lithium is heated to more than 150 million°C. Scientists hope that the artificial sun harnesses nuclear fusion, which in turn can be converted into unlimited clean energy. The researchers announced the project last November and it has hit an important milestone now. This ambitious project involves scientists from 35 countries. “The artificial sun’s plasma is mainly composed of electrons and ions and the country’s existing Tokamak devices have achieved an electron temperature of over 100 million degrees C in its core plasma, and an ion temperature of 50 million C, and it is the ion that generates energy in the device,” said Dr Duan Xuru, an official at the China National Nuclear Corporation. 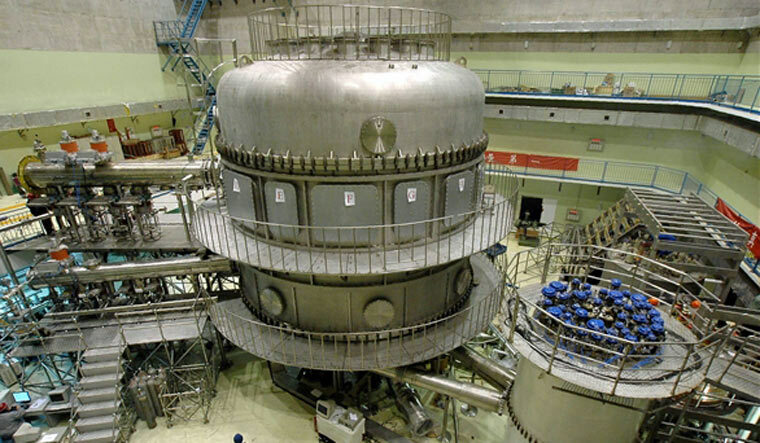 The current Experimental Advanced Superconducting Tokamak reactor in Hefei has created temperatures which exceed 100 million degrees Celsius – which is as hot as the interior of the sun. In 2018, scientists announced they had sustained that temperature for 60 seconds, but the goal is to keep it going for upwards of one thousand seconds.